Rubble on the double! 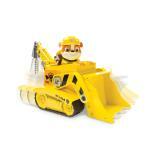 Rubble’s Diggin’ Bulldozer saves the day with its moveable drill and scoop! This pup and vehicle combination is loaded with Adventure Bay action! 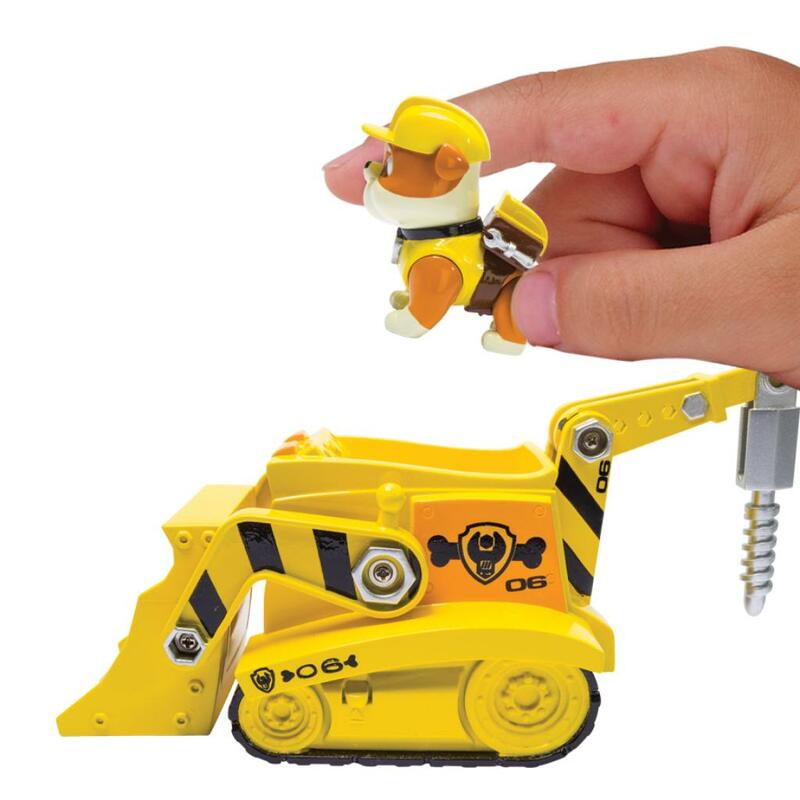 Drill through rock, scoop up the pieces as Rubble rides inside. 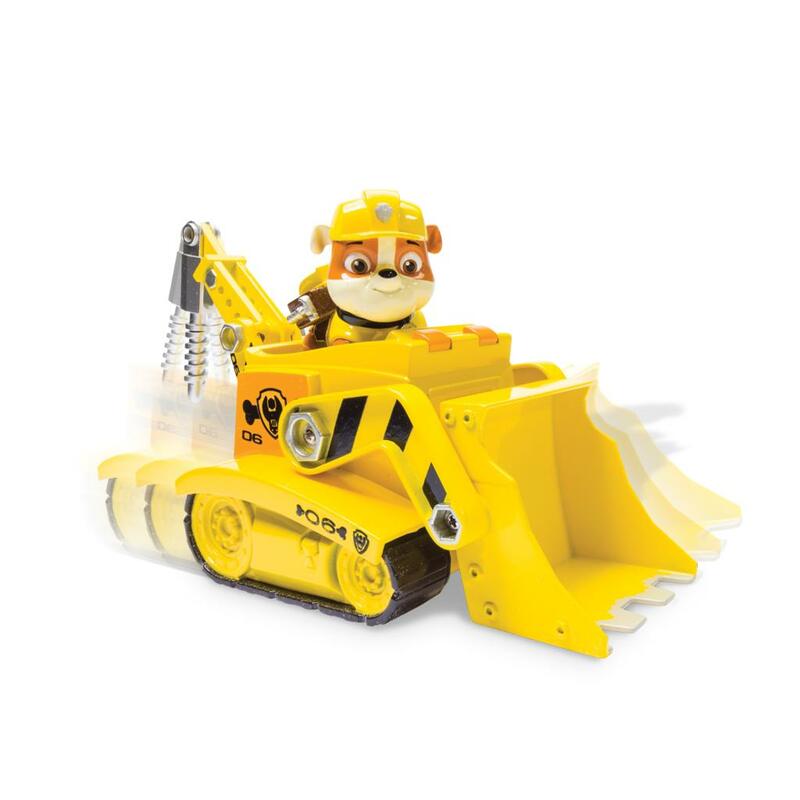 With real working treads, Rubble’s Diggin’ Bulldozer gets him where he needs to go! 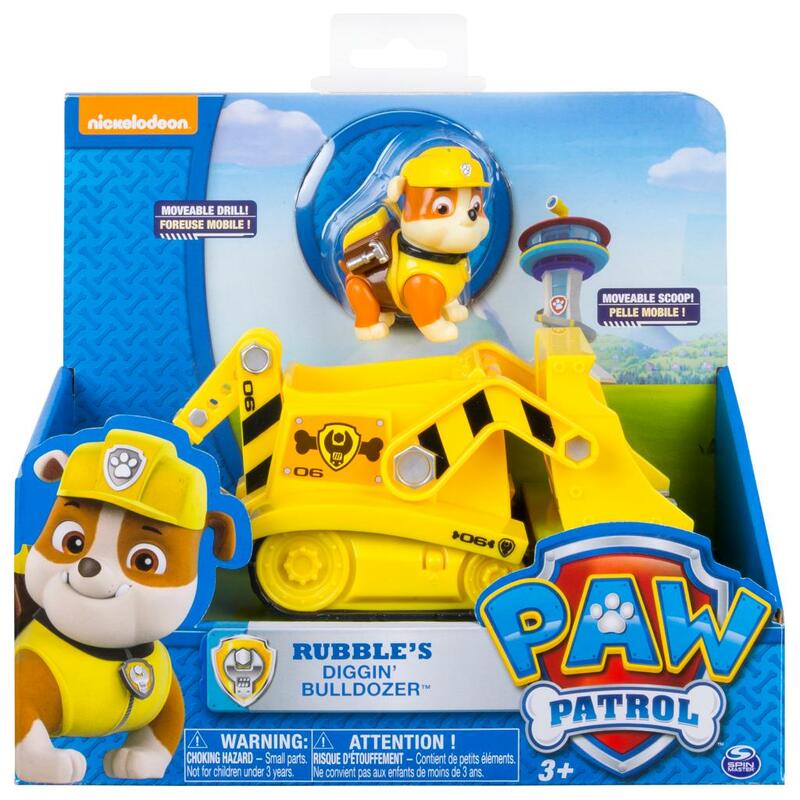 Dig deep with Rubble and the rest of the Paw Patrol by collecting the entire line of Paw Patrol vehicles. Together, your child’s imagination will be lit up with pup inspired rescue missions full of friendship, teamwork and bravery. Choose from Chase, Marshall, Zuma, Skye, and Rocky, each with their own unique transformation. If danger is near just give a yelp, the Paw Patrol is here to help! No job is too big, no pup too small. 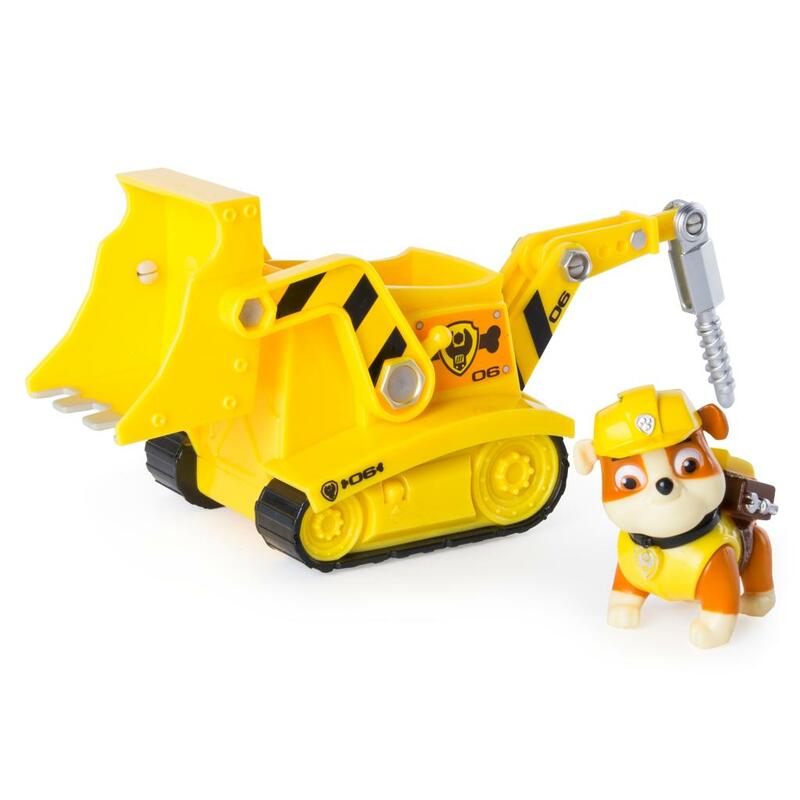 Dig up an adventure with Rubble’s Diggin’ Bulldozer and collect them all! 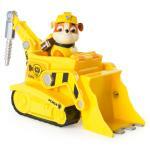 It's Rubble to the rescue in his Paw Patrol Diggin' Bulldozer with real working wheels, plus movable drill and scoop! 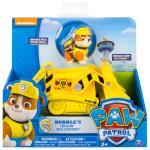 Place the Rubble figure inside the vehicle and roll to the ruff-ruff rescue. Rubble's Diggin' Bulldozer is for ages 3+. No batteries required.